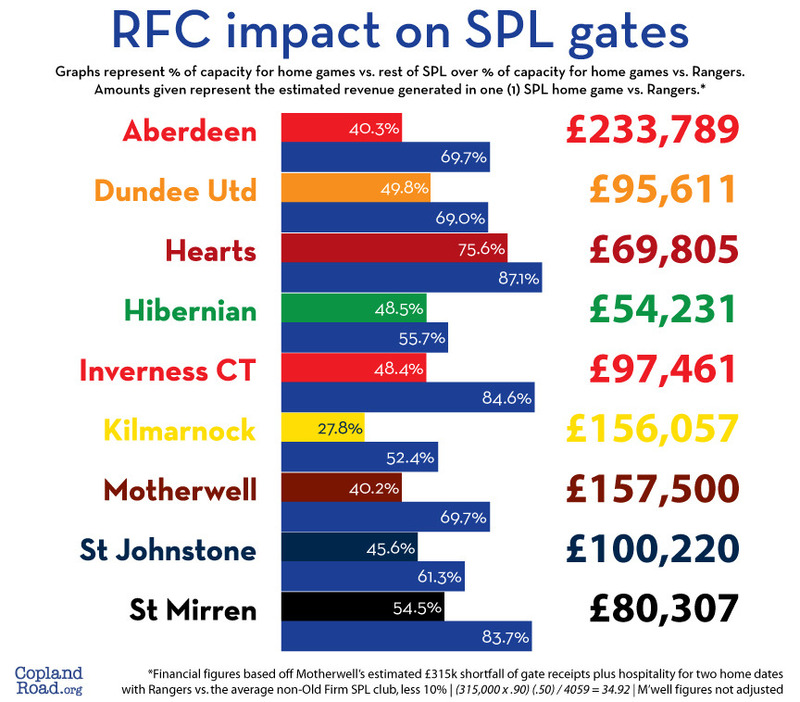 Thanks to the Motherwell board's acknowledgment of the impact Rangers has on their books, we're starting to see exactly what the financial ramifications of a SPL without Rangers will be. Taking the numbers stated in the Motherwell FC financial guidance document--and confirmed during our twitter chat with a Well director earlier today--it made it a bit simpler to get a general idea of just what RFC means to the revenues of the individual member clubs. Of course this does not take into account any potential league-wide fallout from what appears to be our certain exit from the SPL (hopefully to Div3). What the sponsors and SKY choose to do is yet to be determined. But we hope that we've presented a fair image of just what a home game with Rangers means to these nine clubs. Looking to buy/sell in the Toronto, Ontario area? Call our man William. Copyright 2018 - The Copland Road Organization. Awesome Inc. theme. Powered by Blogger.